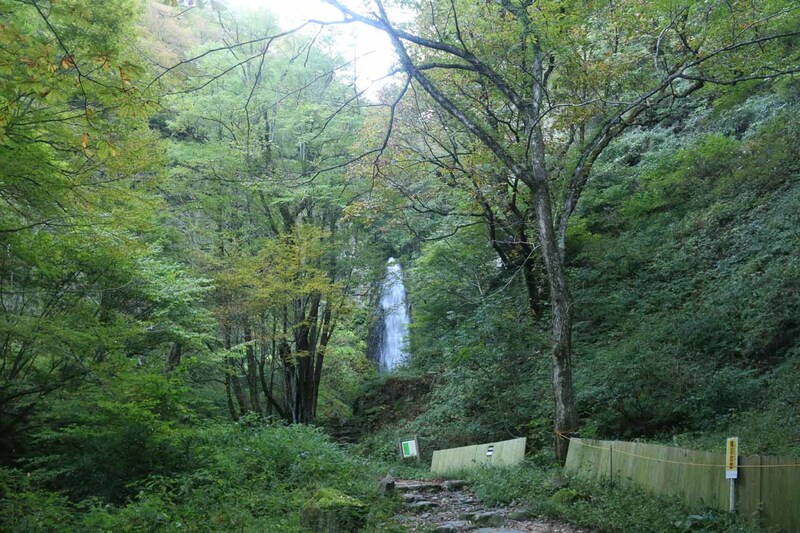 The Amedaki Waterfall (Amedaki [雨滝]; also called Amedaki Falls) was one of our easier visits to a waterfall in Japan. 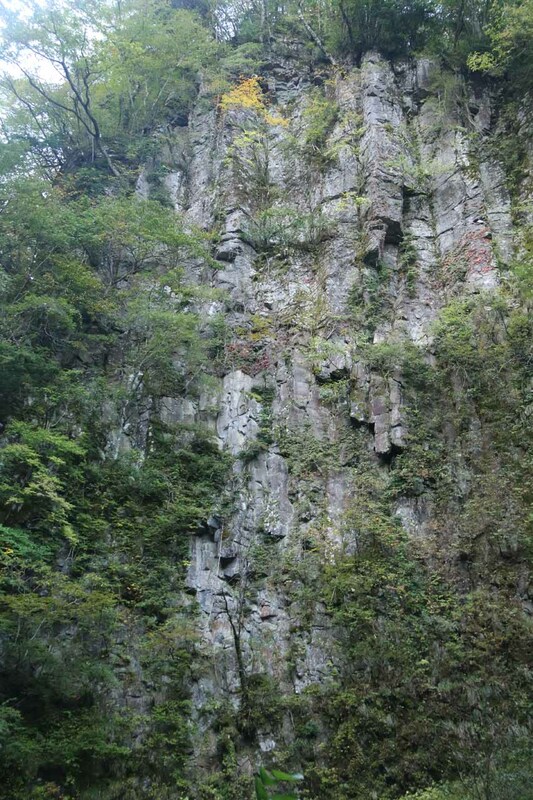 It was where the Fukuro River (Fukurogawa) dropped some 40m over a columnar basalt cliff. 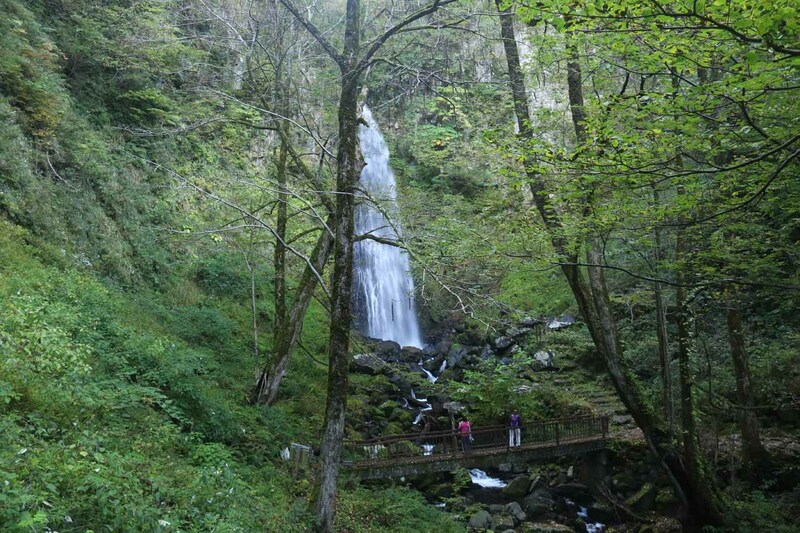 We were able to see evidence of the signature basalt columns adjacent to the falls attesting to its formation. 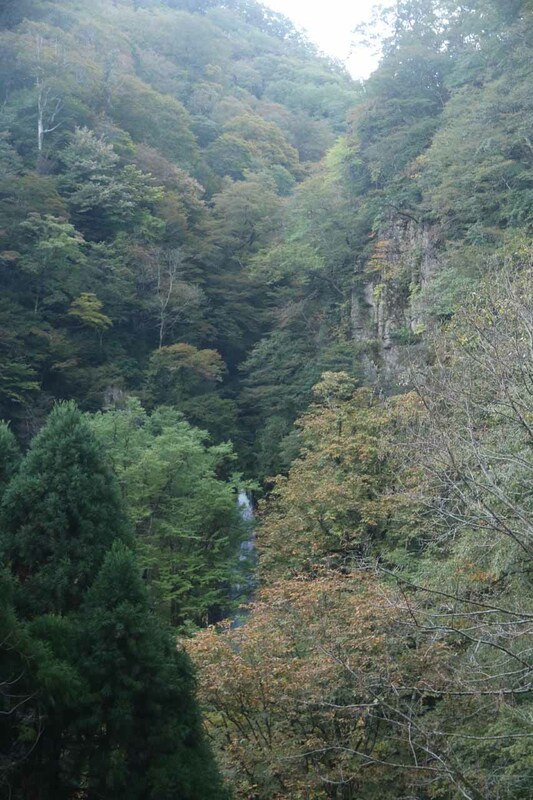 Translating the kanji into Chinese, we gleaned that the direct translation of the waterfall’s name was the “Rain Falls”. 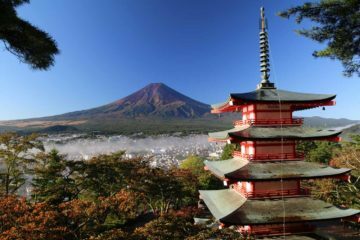 Perhaps because the falls was only at an elevation of 500m, the nearby Mt Ooginosen may be a major rain catchment and source of the watercourse responsible for the falls, and thus might have gotten its name this way. During our visit, the falls had pretty full flow as it was probably helped by the rainy day that we had experienced the day before our visit here. 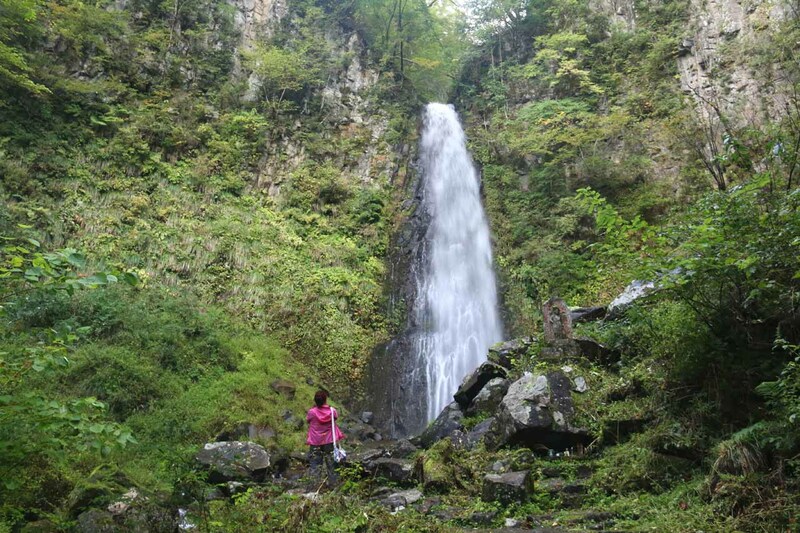 Adding further legitimacy to this falls was that it was gazetted as one of Japan’s Top 100 Waterfalls by the Japanese Ministry of the Environment. 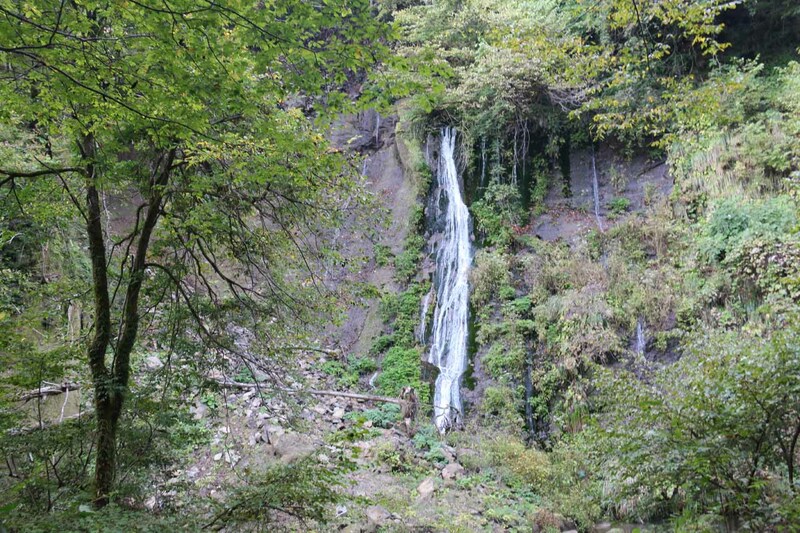 Located just a little over 100m downstream of the Amedaki Falls was the Nunobiki Waterfall (Nunobiki-no-taki [布引の滝]; or just Nunobiki Falls). Sometimes I’ve seen this falls called the Amedaki-Nunobiki Falls to distinguish it from the Nunobiki Falls in Kobe. 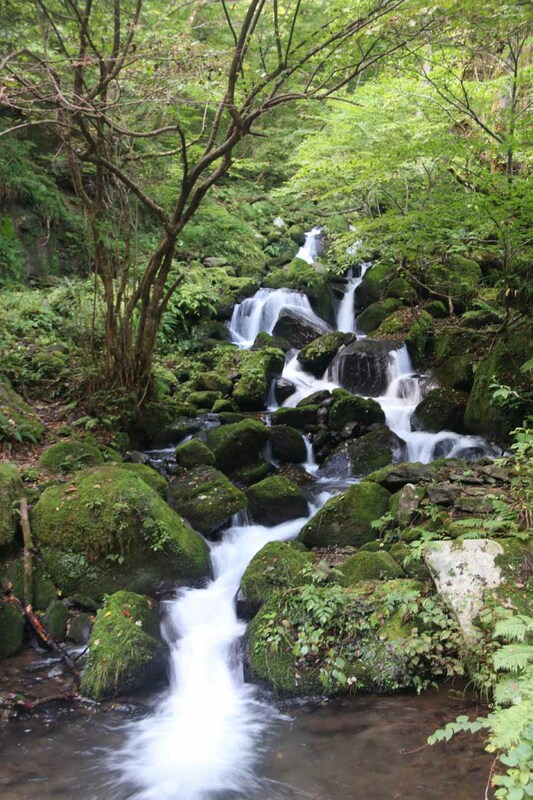 Contrasting the Amedaki Falls, Nunobiki Falls took on a more slender and graceful shape. 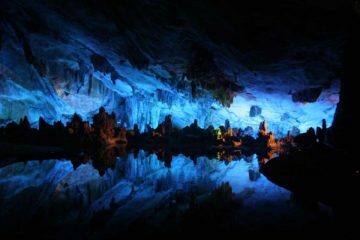 It was said that its waterflow wouldn’t change regardless of heavy rain or lack of rain, because its stream was sourced by groundwater on the sloping mountainside. 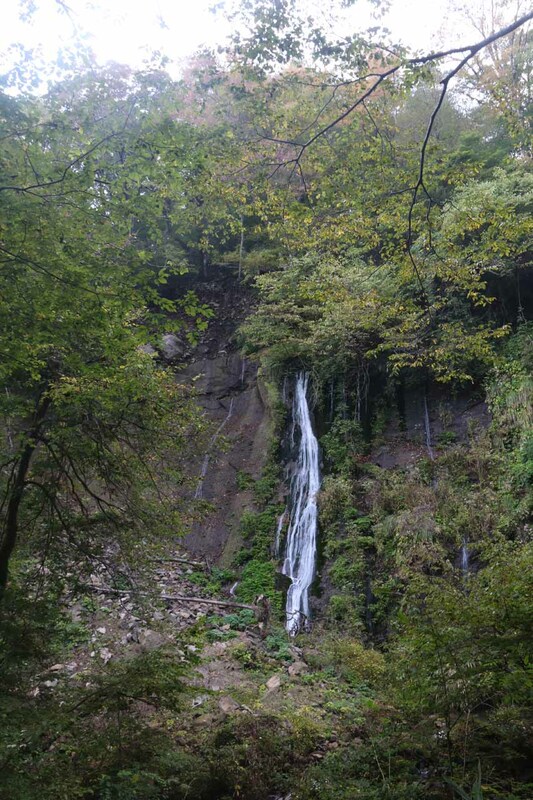 Translating the kanji into Chinese, we gleaned that the waterfall’s name had something to do with cloth perhaps suggesting that the shape of the falls reminded someone of perhaps a dress or a long piece of cloth. 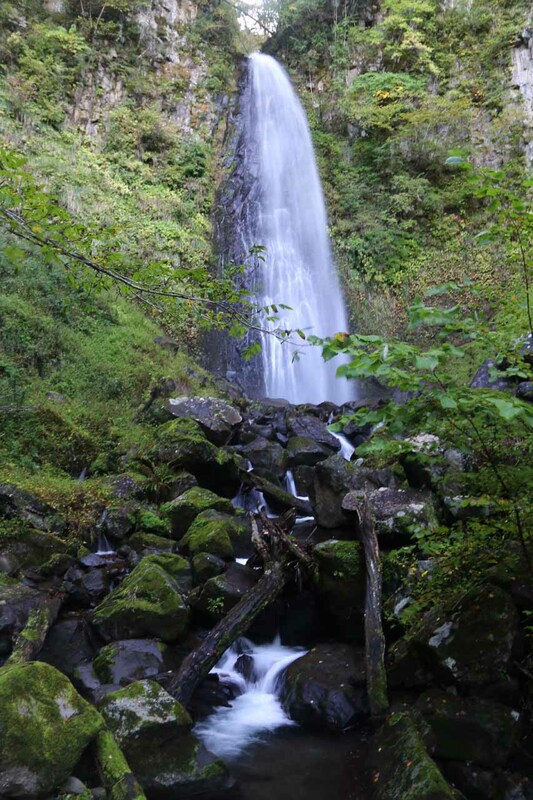 Anyways, an interpretive sign here associated the larger Amedaki Falls as being masculine while this waterfall was characterized as being feminine. We’ll leave it up to you how to interpret this association. Our visit to both of these waterfalls started from a car park right at the end of the Amedaki Road (see directions below). 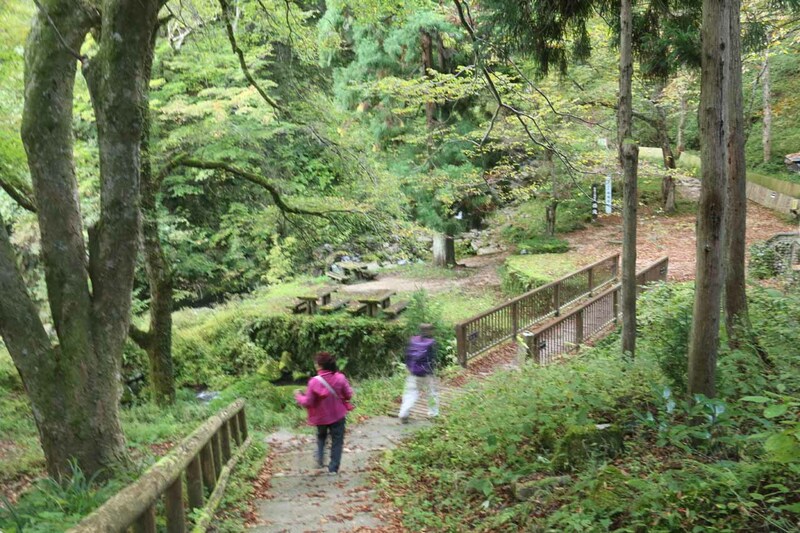 We walked about 100m to a fork where we initially kept right and got to an obstructed view of the Amedaki Falls. So we came back to the fork then went down the steps past a restroom building before getting to the bottom of the descent. 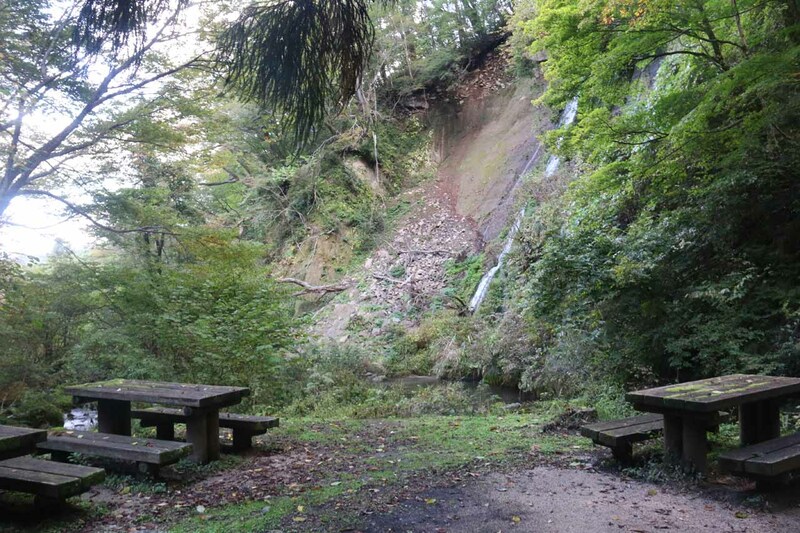 Once we got down there, we were face-to-face with the graceful Nunobiki Waterfall fronted by the Fukurogawa as well as some picnic tables. 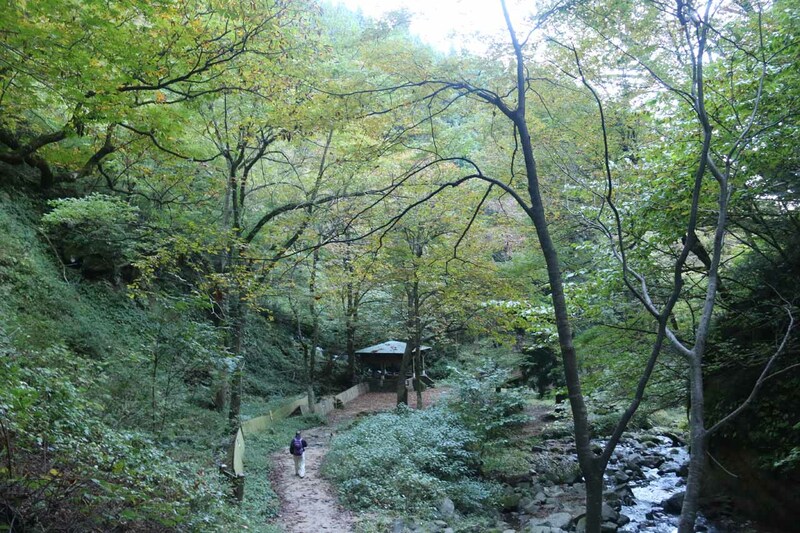 After getting our fill of this falls, we then continued walking gently uphill about 150m along the main trail passing by a cascade behind a bridge as well as a shelter showing what I believe to be San’in Kaigan Geopark highlights. 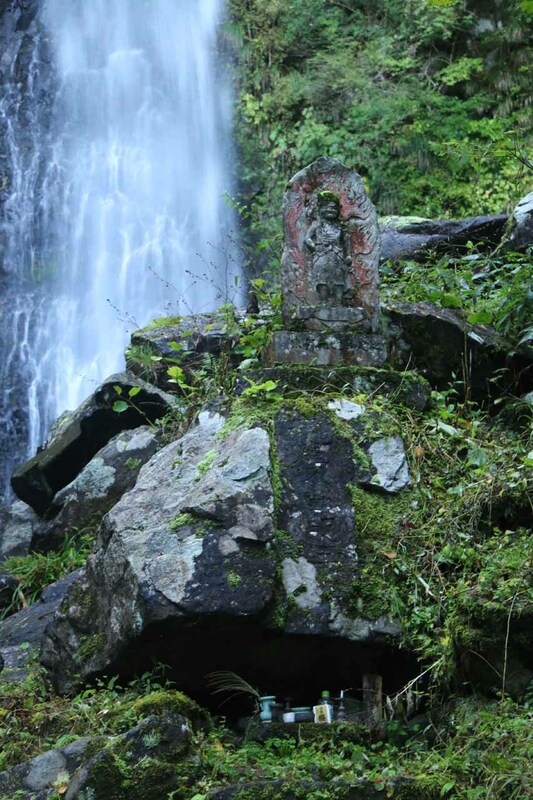 That was when we were at a bridge as well as a small stone figurine fronting the impressive Amedaki Waterfall. 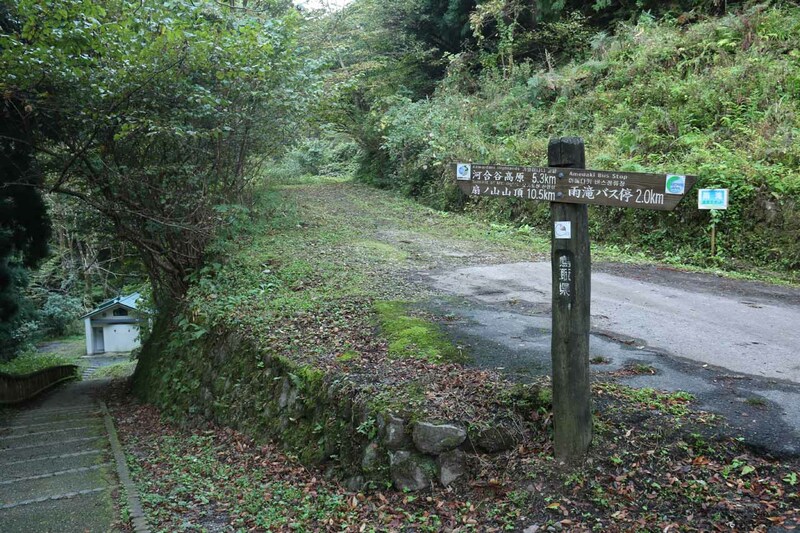 The trail continued past the bridge and climbed up a slippery and muddy path, but we chose not to go further as the conditions were a bit on the treacherous side, and we still had a long drive ahead of us towards Osaka. 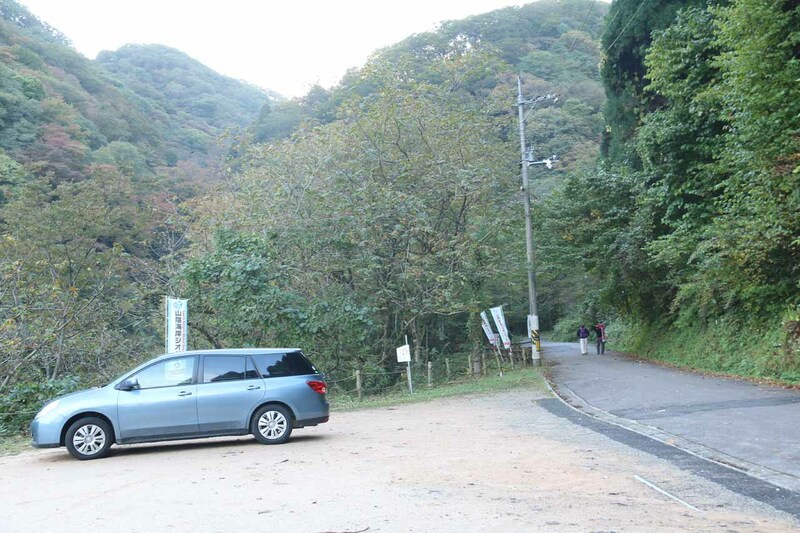 So after taking our time enjoying both the Amedaki and Nunobiki Waterfalls, we then got back to the car spending about an hour away from it. 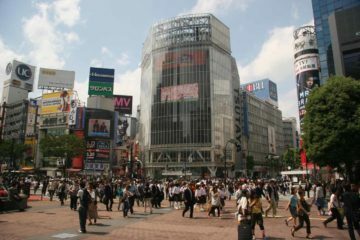 But given the short walking distances, we’d imagine one could easily experience this place in as little as 15-30 minutes. 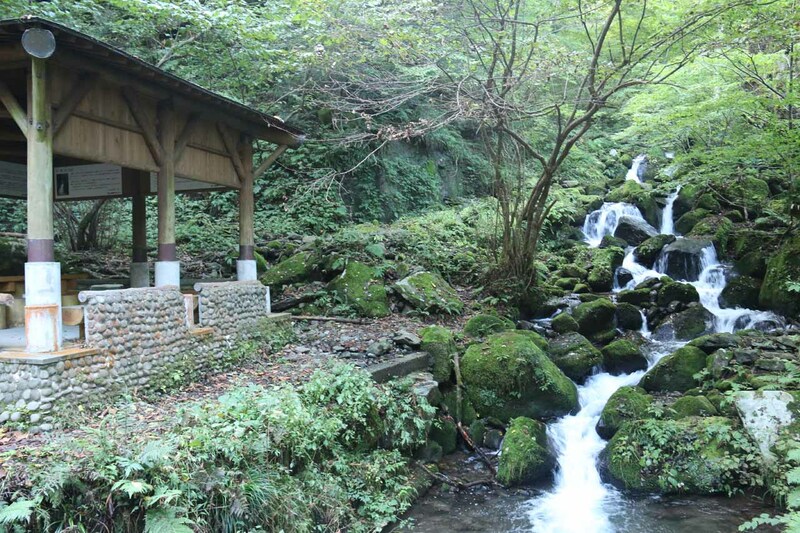 By the way, the Amedaki Waterfall was part of the San’in Kaigan Geopark (which probably explained why the shelter had interpretive signs highlighting other such geoparks in Japan). 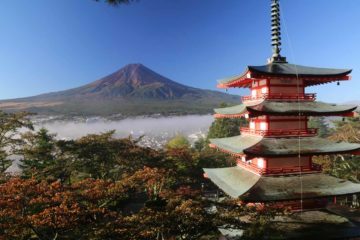 Apparently, the focus of these parks was to showcase geological features and landmarks that were derived from the formation of the Sea of Japan. I guess, much of the natural features along the Northern Coast of Japan, especially in the Tottori Prefecture owed their existence to such geological events. 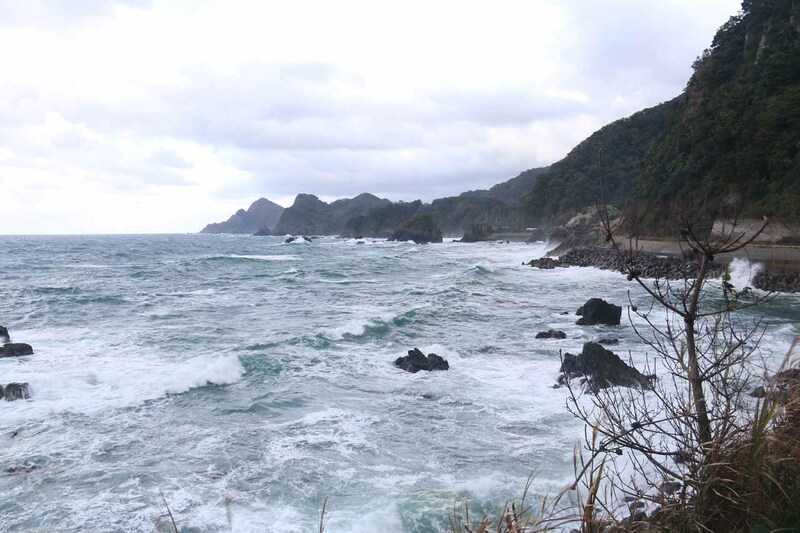 And I’m guessing that the formation of these geoparks might have been a way to generate some tourism traffic to these relatively overlooked places (at least as far as the main island of Honshu was concerned). Finally, I also wanted to mention that there was some interesting signage accompanying the San’in Kaigan Geopark signage at the trailhead for this waterfall. 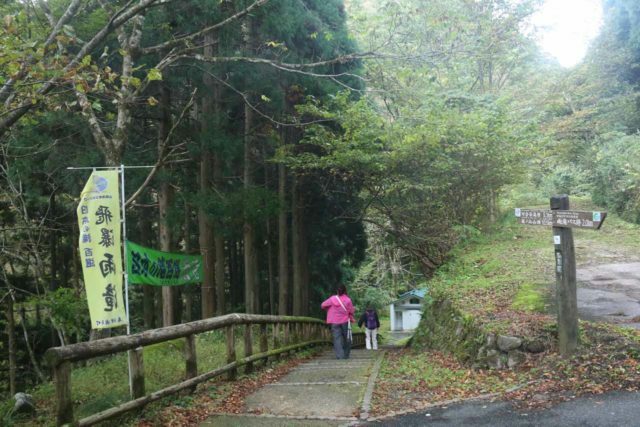 It concerned a sign containing kanji (or Chinese) writing right above the geopark sign saying something like “中国白然歩道” meaning “China White Nature Trail”. We took this to mean that this must be some Chinese sign or Chinese trail, which was very surprising and unusual, to say the least. We could have mistook the meaning or intent of this sign, but we’re quite curious as to why this sign was here in the first place. 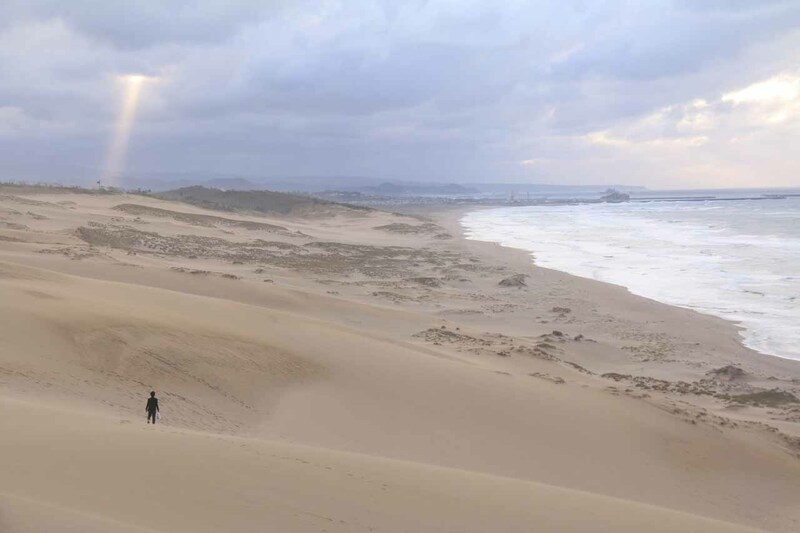 If anyone can explain why, please let us know! 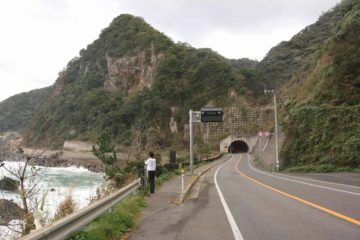 Driving to the Amedaki Waterfall was thankfully pretty easy for us as there was already signage pointing the way to the falls right from the city of Tottori! So in following the signs, we wound up pretty much finding our way to the Route 323 going south, then heading east onto Route 31. 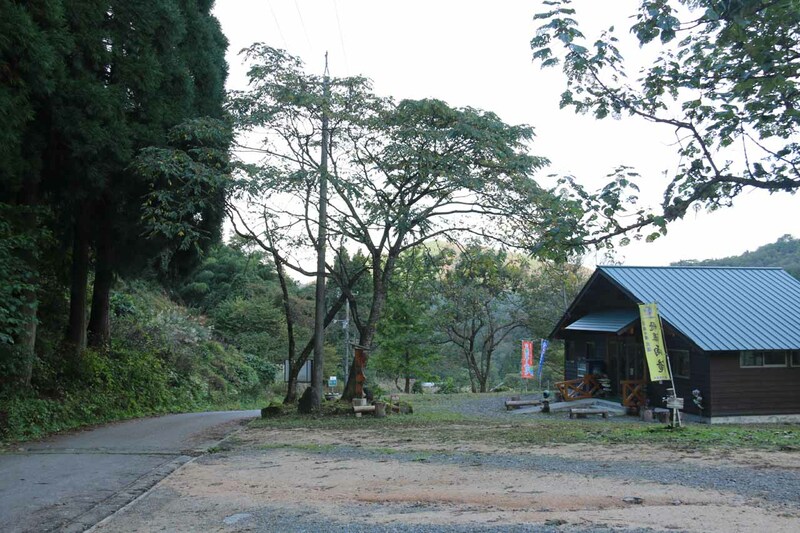 We’d follow the Route 31 for about 20km towards the end of the Amedaki Road, which was where we reached the nearest car park. Overall, this drive only took us about 30 minutes.